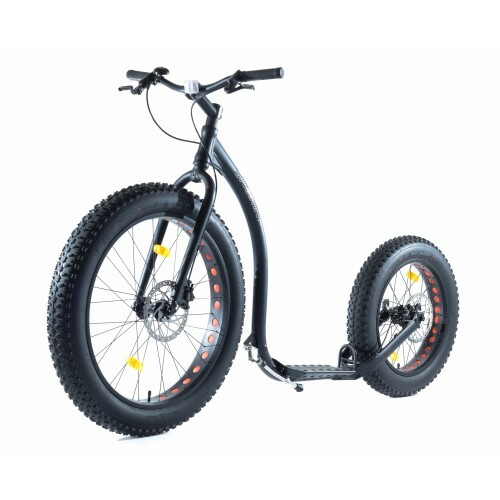 With Fat tires you can kick smoothly in rough terrain or even on snowy winter tracks. This model is designed for downhill, hard mushing or extreme exercise. Well – also for you who don´t mind some extra attention.. Hydraulic brakes are efficient in downhills or with the dogs when speeds are high. Perhaps the best part of this model is the super stable and safe ride! Delivery: One week (7 days) from payment date. During busy periods (including lead up to Christmas) delivery may take up to two weeks (14 days). We will confirm your delivery schedule by email after order and will provide you with a courier tracking number.